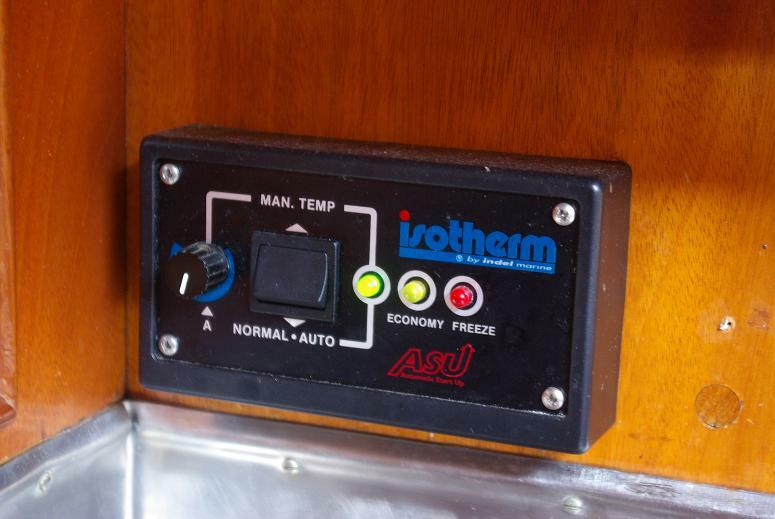 Taritas refrigeration is originally an enginedriven compressorssystem still serviceable.For fuel consumtionreasons(you cannot possibly run the engine 1-2hrs every day on a Pacific crossing for refrigeration) we installed an Isotherm ASU/SP system prior to leaving 2007. During our hard tacking on the Southern Baltic heading for Kiel(Sep 2007)the electric box stopped working.After a very straight forward contact with Isotherm they immidiately sent a new one that we picked up in Amsterdam and the system has worked constantly without problems ever since. This is a very well working system of high quality,and with a companymentality/service that other companys should study and learn from. The Isothermsystems are more expensive than average,but in our view well worth it.If thinking about refrigeration-buy Isotherm.